The incidence of SCI is highest among persons age 16-30, in whom 53.1 percent of injuries occur; more injuries occur in this age group than in all other age groups combined. Males represent 81.2 percent of all reported SCIs and 89.8 percent of all sports-related SCIs. Among both genders, auto accidents, falls and gunshots are the three leading causes of SCI, in that order. Among males, diving accidents ranked fourth, followed by motorcycle accidents. Among females, medical/surgical complications ranked fourth, followed by diving accidents. Auto accidents are the leading cause of SCI in the United States for people age 65 and younger, while falls are the leading cause of SCI for people 65 and older. Sports and recreation-related SCI injuries primarily affect people under age 29. 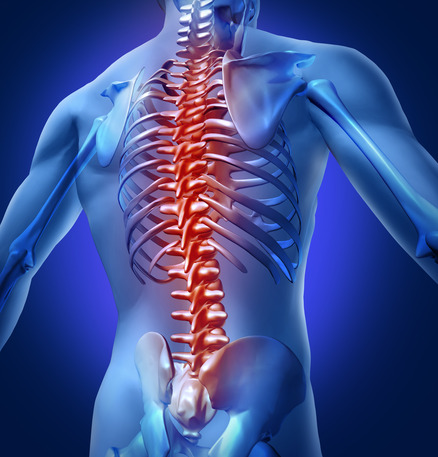 The spinal cord is about 18 inches long, extending from the base of the brain to near the waist. Many of the bundles of nerve fibers that make up the spinal cord itself contain upper motor neurons (UMNs). Spinal nerves that branch off the spinal cord at regular intervals in the neck and back contain lower motor neurons (LMNs). Sacral vertebrae (S1-5) in the pelvis.